Many offshore patients deterred by the exorbitant cost of dental work in their home countries do not mind hopping borders to undergo upper and lower jaw bone grafting in Mexico. 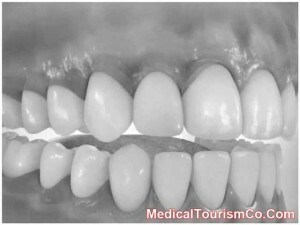 Dental bone graft procedure in Mexico is highly sought-after by patients from the first world countries on a dental vacation to this North American country who wish to avail low cost treatment dispensed at the innumerable well equipped hospitals and also recuperate in Mexico’s salubrious climate and sandy beaches. Geographical propinquity to the US and Canada and availability of low cost of treatments have bolstereddental tourism in Mexico. Usually, dental bone grafting is done for dental implants. According to the American Association of Oral and Maxillofacial Surgeons, 69 percent of Americans belonging to the age group of 35-45 years are missing at least one permanent tooth. Jaw bone grafting in preparation for dental implants is an attractive alternative to traditional methods like removable dentures. Patients opt to get dental treatment in Mexico primarily to save money. Because of the country’s close proximity to the United States, it is easy to get everything from dental implants to sinus lift surgery in Mexico. People who undergo dental bone graft in Mexico usually wind up saving anywhere from 20-60%. Cost of dental treatments in Mexico is quite low as compared to costs in the industrialized nations of the world primarily because of low cost of living and cut throat competition between various state-of-the-art clinics that have cropped up all over Mexico. Those planning to undergo bone graft surgery for dental implants in Mexico can ask for free estimates to better plan their trip. Even expensive restorations such as All-on-4, All-on-6 dental implants, permanent teeth implants in Mexico can cost a fraction of the prices charged for the same in the more affluent countries of the West such as the UK, the US, and Canada. The quality of dental care provided in the reputable dental clinics in Mexico is comparable to the standards of care provided in the first world countries. There are many JCI and ISO accredited hospitals in Mexico with the latest dental tools and world-class infrastructure. 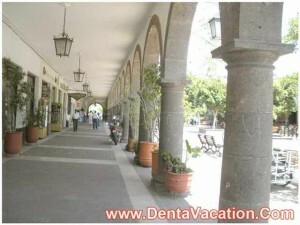 Many of the dentists in Mexico have undergone training in the renowned medical schools of the US. They are up to date with the latest medical technologies and procedures. Whether you choose a dentist, orthodontist, or surgeon, your dental professional in Mexico will be as good as or better than a dental professional you may see in the United States. Traveling to Mexico for bone graft for dental implant can give one the opportunity to extend a dental care trip to vacationing. Patients can recuperate from upper and lower jaw bone grafting in Mexico while lounging about on some of the best beaches in the world and savoring great, authentic Mexican food. 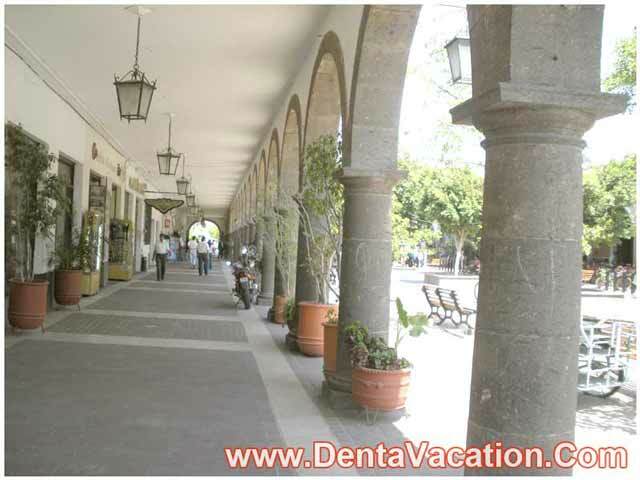 Traveling to Mexico for dental implant bone graft procedure or any other procedure will mean venturing into a culture not akin to your own. While Mexico is a very friendly place and very easy for most Americans to travel to, you should still be mentally prepared. The standards of hygiene in Mexico can be quite different from those in the affluent countries of the world. Abstain from drinking tap water and be wary about eating street food. According to the Centers for Disease Control and Prevention’s Pre Consultation Counseling & Advice for Travelers, tourists getting any kind of surgery to the face, including dental bone grafts, should wait 7-10 days before flying home to avoid potential damage done by cabin pressure. Hence, prospective patients should factor in more days in their itinerary for convalescing. Upper and lower jaw bone grafting in Mexico can be a worthwhile option for those who lack dental insurance or the finances to self pay for the procedure in their home countries.